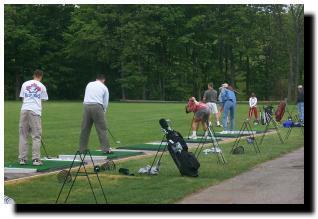 Looking for a convenient location to practice your game all year? Drop by our Pro shop for a complimentary coffee and view our practice facility open seven days a week year round for your convenience. 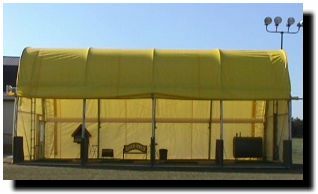 Take your pick between natural or artificial tees and also our covered heated area. The secluded tree lined range complete with target greens,putting green,sand bunker and chipping area. 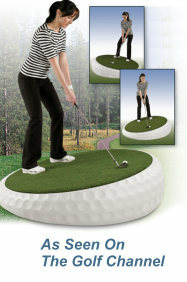 Practice your uphill,downhill and sidehill lies on our Hill Shot Golf practice matt.It took 2nd place on the Golf Channels Live Finale of Fore Inventors Only. 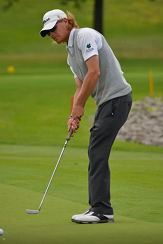 A CPGA Assistant Professional is available on-site.. Please contact us at 905-937-5808 to book.